4. Enter your credit card information and press the blue "Next" button. See below if you would rather pay with PayPal. 5. If you would prefer to use PayPal, select "PayPal" then click the yellow "PayPal checkout" button. This page will pop up and process to check out. 6. 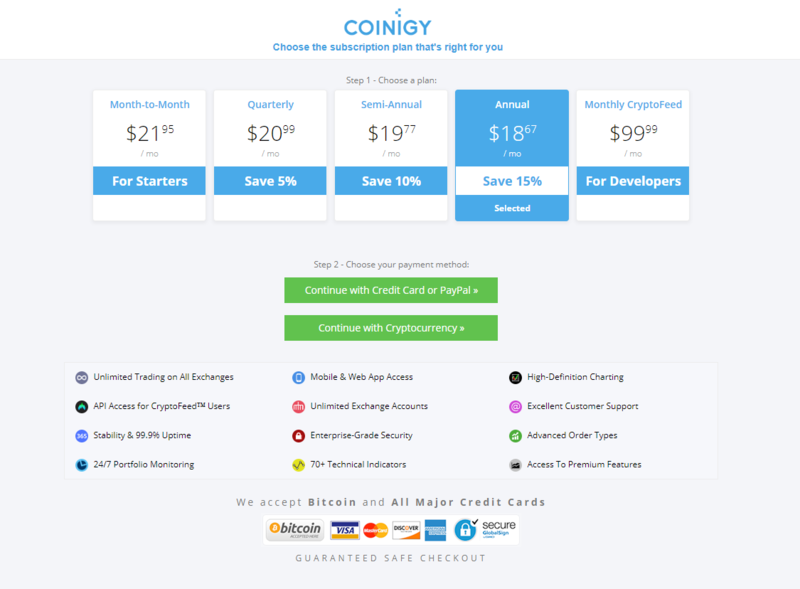 If you are experiencing issues, please open a ticket at support@coinigy.com and we are happy to assist you! 7. If you are using a PROMO CODE, once you enter your credit card details, you will have the options to selects "Apply coupon". Click this and enter your code and you are good to go!